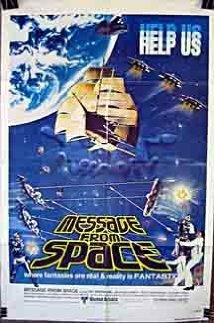 Plot: It’s a Japanese Star Wars rip-off. Whatever makes sense is Star Wars. The rest is gibberish. Every time Aaron complains, whimpers, or throws a tantrum. You can swim in space and all you need is a long sleeved shirt and pants. When you destroy the moon, every trace of it is eradicated. There are no remnants. The moon’s destruction is not a big deal and does not have much of an impact on Earth.